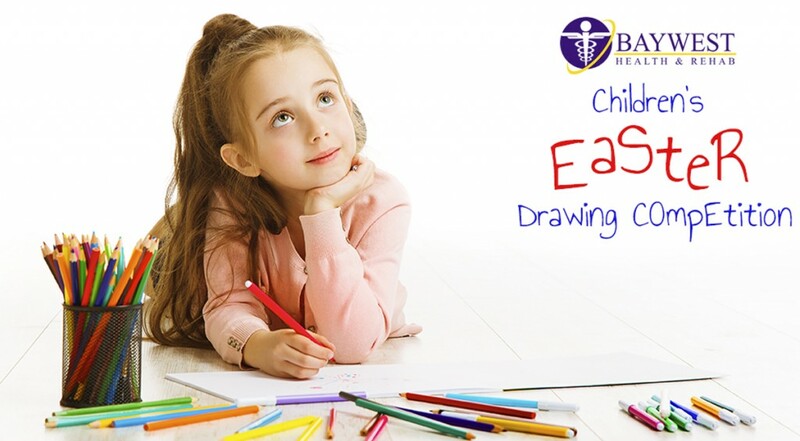 The Great Baywest Easter Drawing Competition! It’s crept up on us, hasn’t it? No sooner has spring started, you turn around and Easter is on our doorstep. Anyway, we are proud to announce a competition for kids to get involved and get their drawing skills in action and express themselves. We want your kids to produce their best Easter drawings. Now we realize this is late notice, but you have until Thursday 13th April to get your entries in. Your drawings can be of anything you like, but with an Easter theme. Once entries have been submitted, the staff of Baywest will pick out the best three entries for each age group. These entries will then be put on our Facebook page where all our Facebook fans will be able to vote on the best of each category. Prizes for each group are $50 cash plus an Easter basket. Runners up prizes will be an Easter basket. All entries will be displayed at our clinic. So there isn’t much time, get your drawing hands on, and let’s see some great Easter pics.